Clan digital style - can this only be applied to one tank? 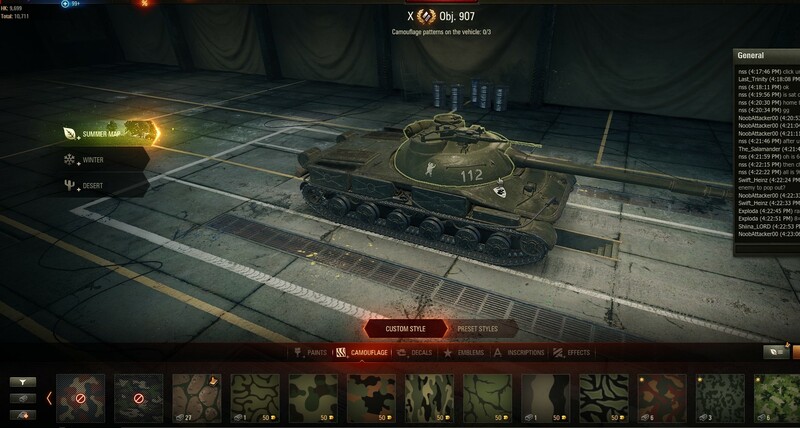 I bought by Clan Wars bling last night and through the "Clan Digital" style on to the first tank I clicked on which was my T110E5 - which is not really what I want it on. Now I can't seem to use it on any other tank. Under the "Suitable for Vehicles" section it says "T110E5(current vehicle)". Anyone else managed to put there "Clan Digital" style onto a second tank? Edited by D_Bucket_D, 08 February 2019 - 06:29 PM. 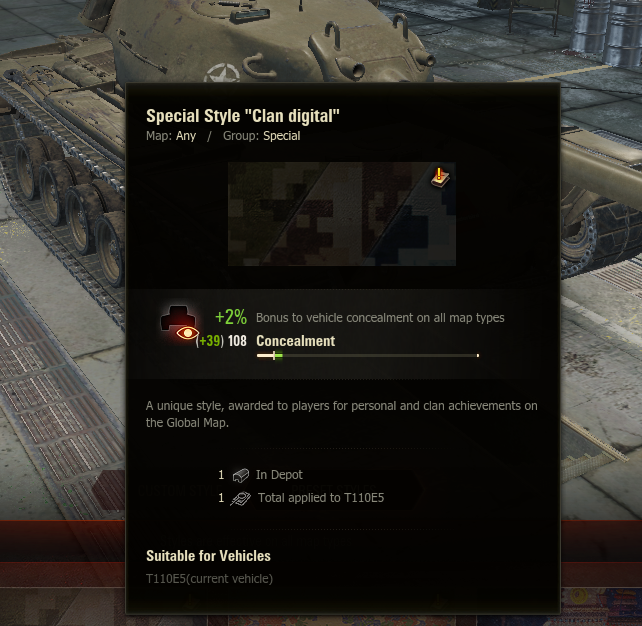 It says on the camo description that the camo is limited to the vehicle you place it on. it said so when u apply it so idk how you didn't notice. Tough luck mate. You actually get a warning now, they didn't have one before! Don't think the warning was visible if you clicked on the style - looks like you only see it if you mouse over. Not super useful, but whatevs. It is a misleading message. 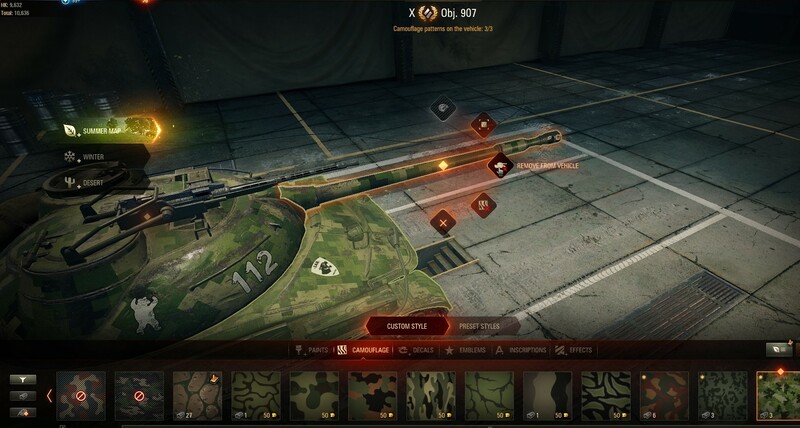 You can remove it from the vehicle and it will then be able to be added to the tank you want.